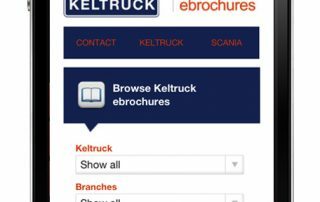 Independent Scania dealer Keltruck Ltd has launched ‘Keltruck eBrochures’, a powerful search engine that brings together the best of Scania and Keltruck publications. Visitors can filter down their search for product specifications, marketing materials and much more. The website has been developed with the modern day visitor in mind, adapting to the device on which it is viewed. This fluid technology is ideal for smart phones and tablets such as the iPad. The website isn’t restricted to publications; it also hosts a selection of impressive Scania videos, which include the first ever Scania video shot almost 100 years ago. “An idea that is now reality. Wander into any of our branches and you will be presented with an array of brochures displaying new vehicle features to the latest special offer of the month. Let’s say that you are looking for something specific and someone has taken the last brochure… No-one likes to wait in this day and age! 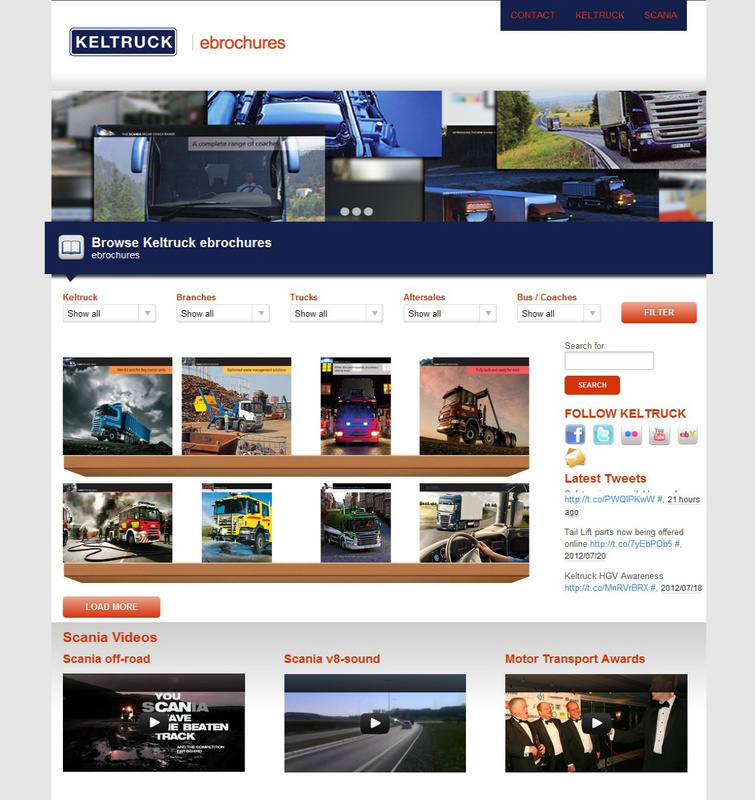 We’ve made sure that you don’t have to wait any longer with our latest development on Keltruck.com by launching keltruck.com/ebrochures. Our eBrochures – covering all aspects of our vehicle and back-up services such as accident repair, recycling, support programme and insurance, as well as special offers and even vehicle specification sheets – can be found in one place. 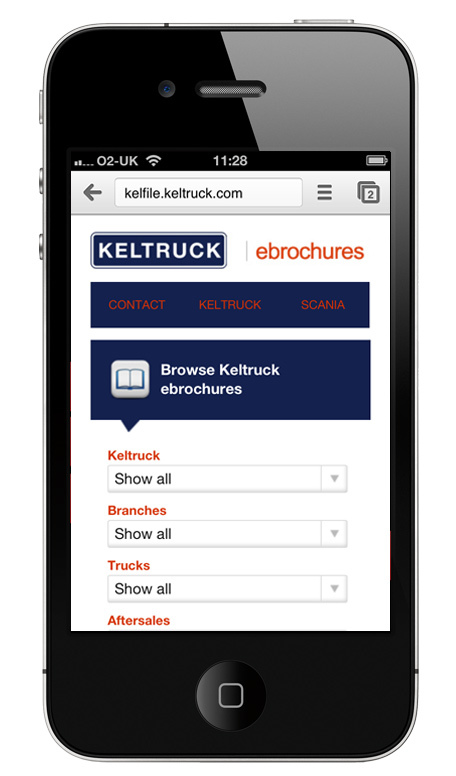 eBrochures is one of Keltruck’s new digital initiatives designed to make it easier for customers to obtain product and service information. 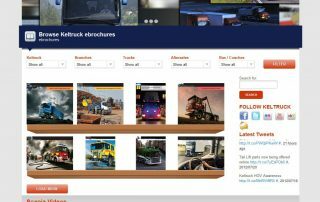 To start the search, please visit keltruck.com/ebrochures.